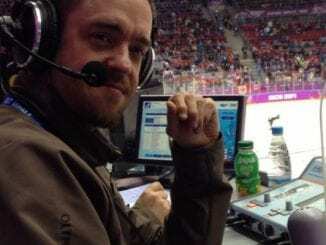 British Ice Hockey are delighted to announce that Elite League FreeSports commentator Aaron Murphy is joining the team. The popular broadcaster is coming on board for a new fortnightly column, ‘Q & A with Murph’, where he’ll answer your questions. And he’s excited about the chance to interact with the fans as we get to a crucial time of the season. 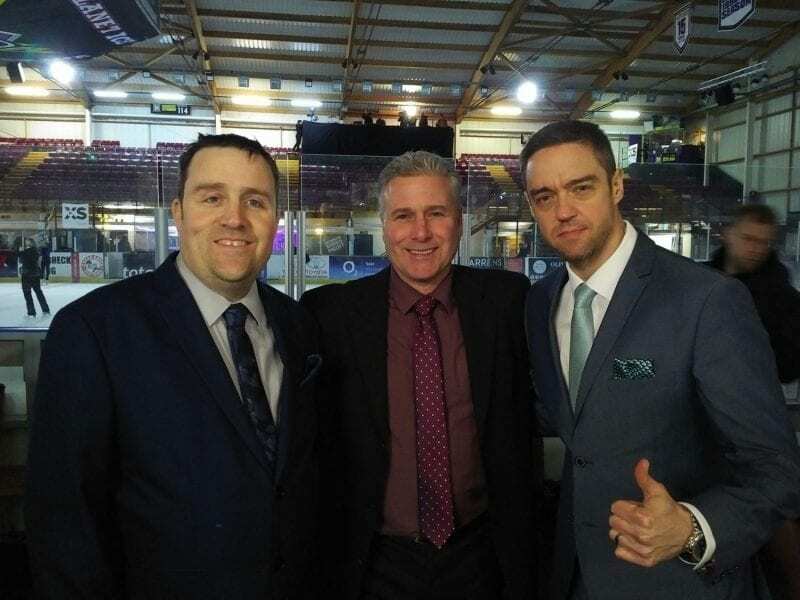 “Firstly, I’m delighted to asked by the guys at British Ice Hockey to come on board and be part of this new feature. I can’t wait to get started,” Murphy said. “I always enjoy the interaction with the fans through social media either throughout the week or during our broadcasts so this is another avenue to do that. “So I can’t wait to get into some of the questions that the fans will have as we head into a critical stage of the season. 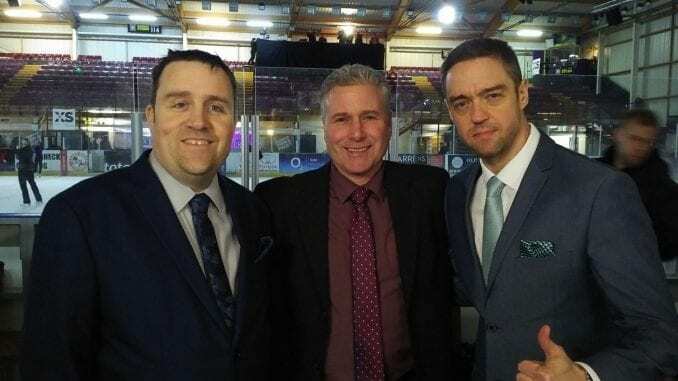 Murphy, along with Paul Adey and Chris Ellis (above) present the live coverage on FreeSports throughout the season and have travelled the length and breadth of the country to bring the best of the action. He’s a well respected figure in the sport in this country and his catchphrases are as popular as his opinions on the game. 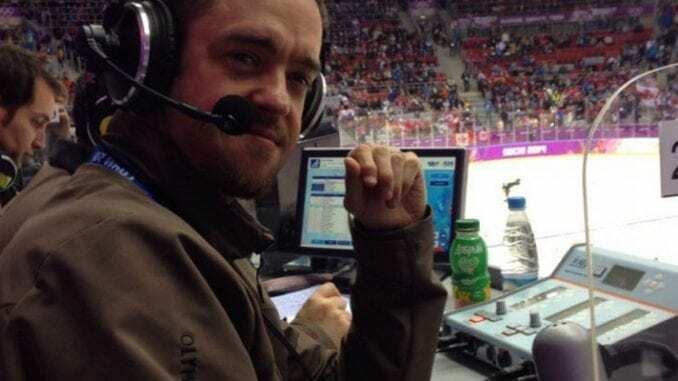 A spokesman for British Ice Hockey added: “Getting Murph on board is something we’ve been keen to do for some time and we’re pleased he’s finally joined us. “He has a good knowledge of the game, is always forthright with his views and when we put our heads together, the idea of a Q & A was something that appealed to us. 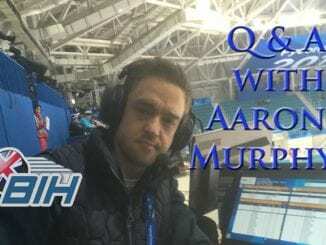 ‘Q & A with Murph’ will begin this week so get your questions into Aaron by sending via Twitter (@BritIceHockey) and Instagram (@BritishIceHockey) and the British Ice Hockey Facebook page and use the hashtag #AskMurphBIH. You can also follow Murph on Twitter @MurphOnIce. What a fantastic “signing” for BIH! Well done. More than the EIHL can do.